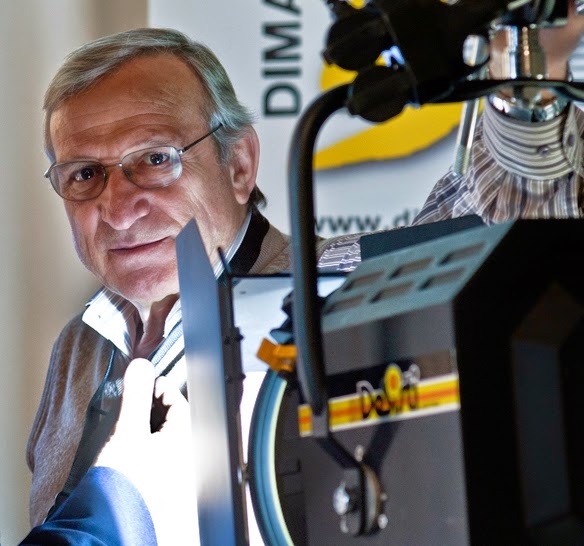 The lighting is a little better in the heavens today as with deep sadness we were informed that Barbizon’s good friend, Mario Desisti, owner and founder of Desisti Lighting, passed away peacefully this morning in Italy. Mario was one of the pioneers in the broadcast lighting industry and It would be very hard to find a country in this world that Mario had not visited and installed lighting. He was a man that was full of life, who worked so hard to constantly improve the technology of his company and loved to talk about lighting until the wee hours of the morning. Frank Kosuda, the head of DeSisti USA said in an note this morning, "Mario was like a father to me and this saddens us all deeply. There was no one bigger than Mario. His charisma and excitement for life was contagious. His life was all about family, lighting and enjoying everything that life had to offer." His passion for lighting and the energy he brought to life and our industry will be sorely missed.